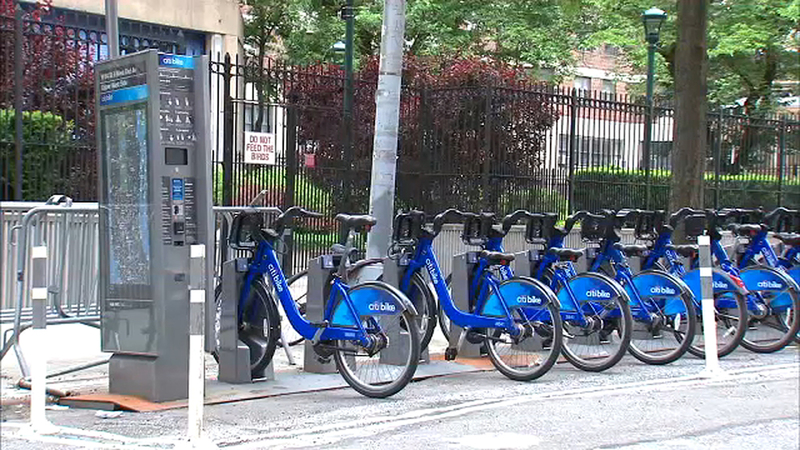 NEW YORK (WABC) -- Curious to try Citi Bike, but afraid of commitment? The ride-sharing bike service is now offering single rides across its 12,000 bike system. During the month of April, you can pay $3 for 30 minutes of bike access before committing to a membership. Users still have to go through the Citi Bike app. A year-long membership costs $169 for unlimited rides. One-day and three-day passes provide unlimited 30-minute trips during these periods and are available for $12 and $24 respectively. Riders of Citi Bike Jersey City will also have access to the $3 rides. "From Astoria to Midtown or Williamsburg to the Lower East Side, we are bringing Citi Bike to even more New Yorkers this spring -one 30-minute trip at a time," said Kris Sandor, General Manager of Citi Bike NYC. "It's no secret that New Yorkers are always on the go, and with the single ride option, we are delivering a flexible new way for people to get where they need to be." For more information or to download the Citi Bike app, riders can visit https://app.citibikenyc.com/YNq9STWrNL.